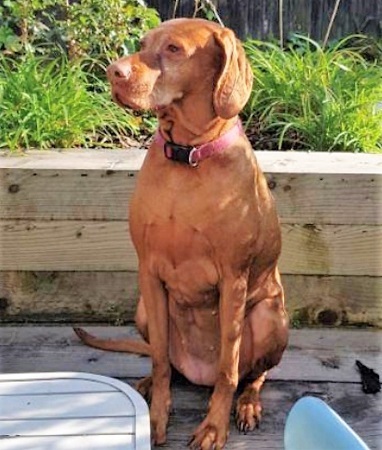 Lovely Lexi is a stunning, female, gold/tan Vizsla whose owner’s circumstances have changed and now finds herself in the care of All Dogs Matter in North London while she hopes an equally lovely new owner will take her home soon. Lexi is 9 years old and is just a lovely and affectionate lady. She is looking for a home where she will be be the only dog, but she is fine with other dogs out and about. Lexi is looking for a quiet home with direct access to a garden. She could live with children aged 10 years and older, but no cats please. Lexi has no known medical needs and has been spayed. Please mention that you saw Lexi on the Oldies Club website.